Director leaves Welcome to Yorkshire in protest at being "kept in the dark"
Siobhain McDonagh MP claims employees involved in contract consultations would made up to £500 worse off. Hull Council's leader resigns from Welcome to Yorkshire after claiming he was not told about investigations about Sir Gary Verity. 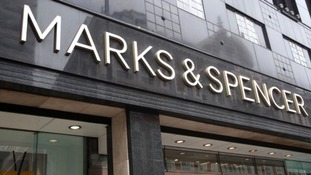 More than three hundred jobs are at risk across the region after Marks and Spencer announced its latest batch of stores closures. Tesco has unveiled its new flagship supermarket 'Jack's' in Chatteris. The aim is to take the retail fight to the cost-cutting stores. Five Star Fish is one of Grimsby's biggest employers - but says the business is 'heavily loss-making' and no longer sustainable. Hull's year as City of Culture has been hailed a great success - with 75% of the city's residents saying they were 'proud' to live there. The Brigg and Goole MP Andrew Percy is calling on the Government to look at the possibility of replacing the Red Arrows fleet earlier than is proposed, in the hope of saving jobs at the BAE site in Brough.